The supper in Naha is eaten in a izakaya. 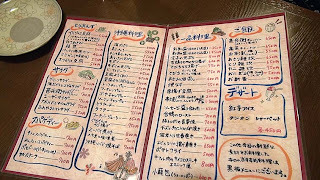 I wanted to visit this izakaya for a long time. 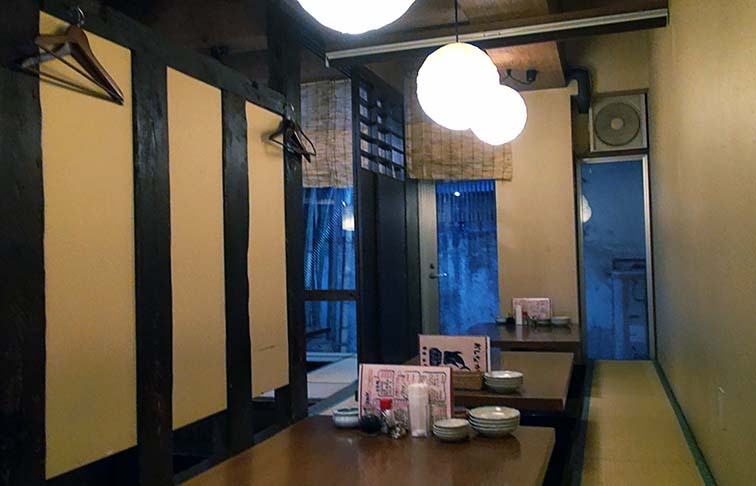 Many good izakaya are located in Naha. I was able to go to this izakaya at last. It is located in the place distant from Kokusai-dori. It is a small izakaya. Although here has the Okinawa food, it is not appearance of the Okinawa style. It sat on the seat of Hori Kotatsu. It is often seen in the izakaya in Okinawa. However, here has two kind ,"Sakura" and "Beni". Beni is a suitable price. However, "Sakura" is somewhat high. It can be imagined that it is very high-class. Or it can be imagined that it is very large one. It was an ordinary size. It is a color of Sakura. Toufuyou has a peculiar taste. There was it also in this in proper quantity. I have met a good Toufuyou. This is the Okinawa izakaya. So, I eat Fu chanpuru. It is reputation that it is delicious. Sea tangle and an bonito. 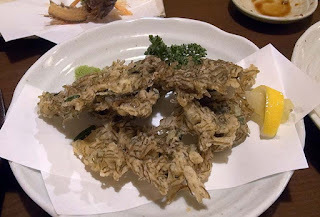 I ate Shima rakkyo tempura. Shima rakkyo tempura which this izakaya serve is very delicious. The taste of Shima rakkyo is the same as other izakaya. A fried degree is different. A batter is good texture. It is the highest in Shima rakkyo tempura which I ate at various places. One more kind of Tempura. Therefore, it is usual to become dough texture. However, crispy is more delicious. This tavern has a very good reputation of cooking. However, i have not heard that fried food is delicious. I high-evaluate to fried food. It looks like nasi goreng. The taste is also an Asian. I am a favorite taste. Carbohydrate is not only this. Since it is Okinawa, noodles are Okinawan noodles. It is flat and is frizzled. It is different from The Yaeyama soba. It is seasoned by dashi. I eats little by little. So I has become want to eat pork. Nobody came to this izakaya. 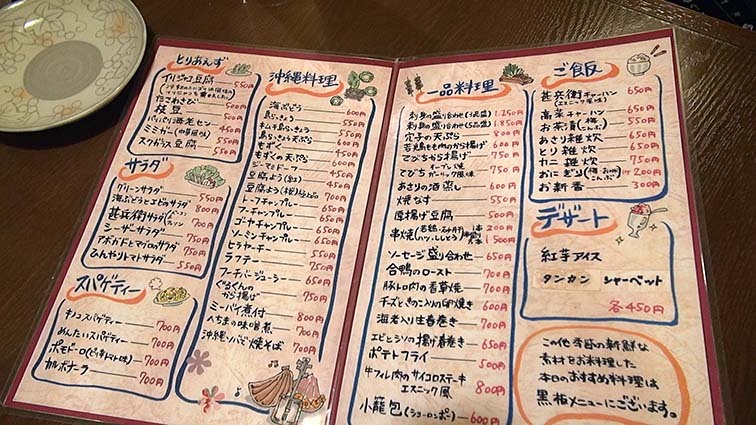 I wondered although it is a reputable izakaya. Is it because it is Monday? We return to a hotel by taxi. Many persons come this pub.